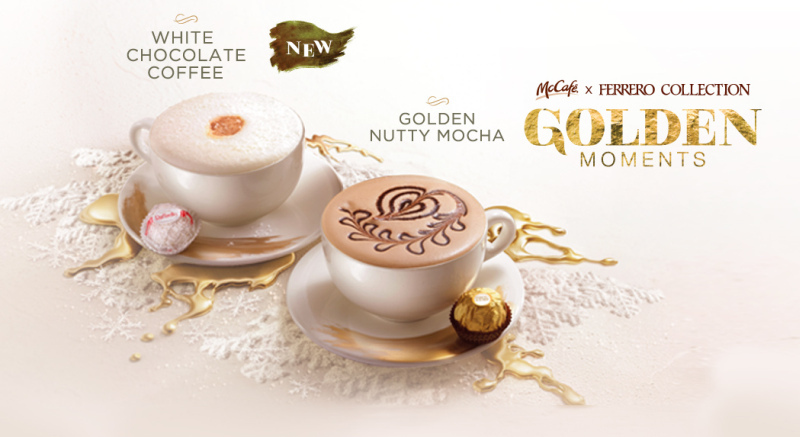 McDonald's Hong Kong has partnered with Italian chocolatier Ferrero to introduce their limited-time McCafe x Ferrero Collection Golden Moments series. 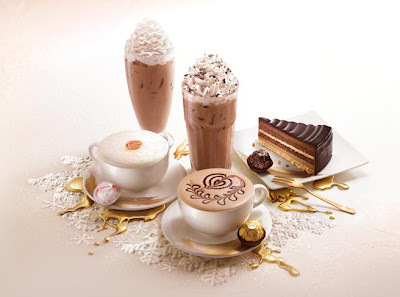 The menu features two coffees and one cake with similar flavors as certain Ferrero chocolates. 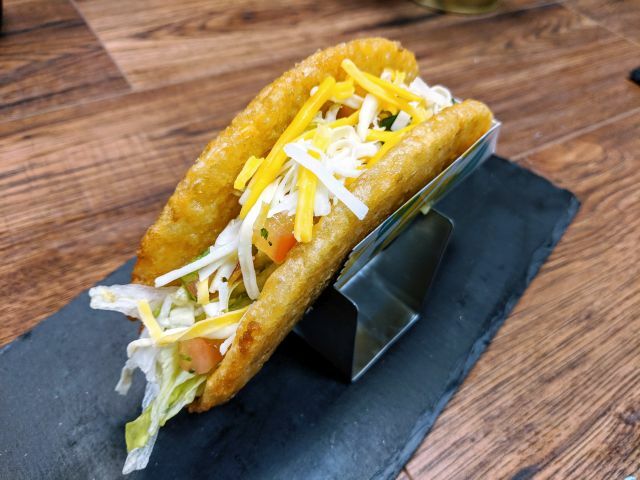 Each item also comes with a free chocolate of the flavor it mimics. - New White Chocolate Coffee, which is a latte featuring the taste of white chocolate and sweetened coconut. It's available iced or hot and comes with a free Ferrero Collection Confetteria Raffaello candy. - Golden Nutty Mocha, which is basically a hazelnut mocha (steamed milk, chocolate sauce, espresso, and hazelnut syrup). It comes with a free Ferrero Rocher chocolate. - Coffee Chocolate Cake, which is a 7-layer cake with chocolate cream, Italian cheese, and chocolate and coffee mousse, on top of a base of crunchy biscuit crumbs. It is accompanied by a free Ferrero Rondnoir.